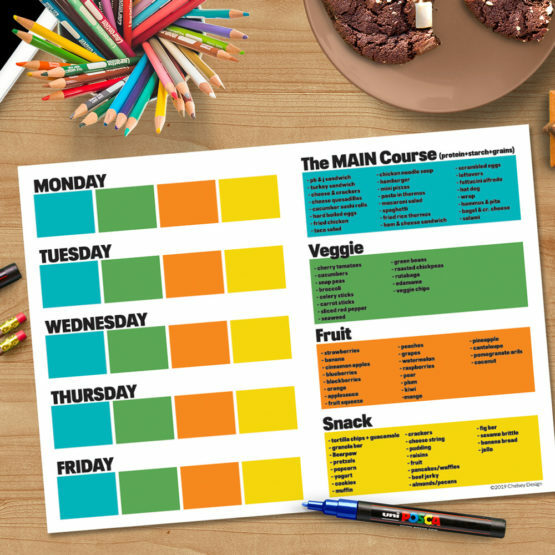 A rocking color palette of blocks for your kids to plan their lunches! 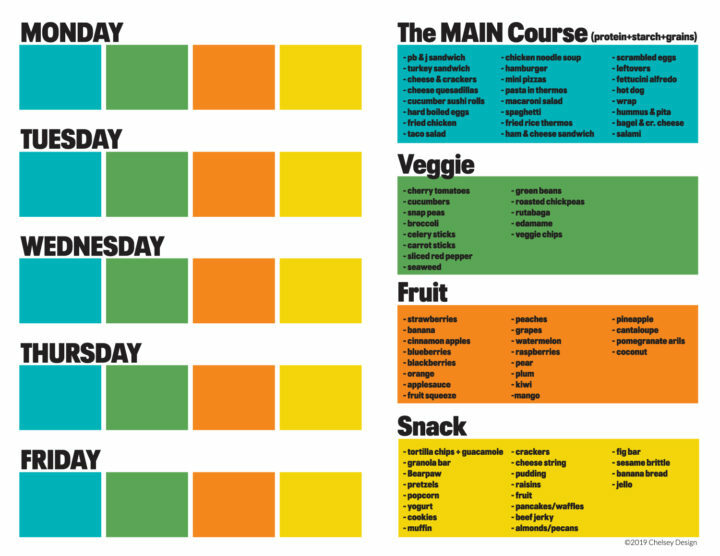 Snap a shot of the filled out planner and off you go to the grocery store. Help your kids plan healthier better lunches! Kids can easily choose from the list of ideas on the right side and participate in what they’d like to see in their lunches. Printed in high resolution & bright color scheme.